It seems I'm forever on the hunt for my dream mascara, but in my search, I've found five pretty great ones. Allow me to share a bit about these products and why I love them! This mascara was in a Lucky FABB conference goody bag and I'm always more than happy to try a new mascara. I wasn't sure what to expect from Drew Barrymore's beauty line, but I was pleasantly surprised with both the plastic hourglass applicator and the super wet formula. Great budget buy! I tried this one on a whim one day and ended up falling in love with the creamy formula. Though the brush applicator wasn't the best I've ever tried, my lashes were voluminous without being stiff. This was my first true mascara love. I fell in love with the way the rounded applicator lengthened and separated every lash--even the ones in the very corners of my eyes. I have purchased this mascara several times and it's always as good as I remembered. Benefit They're Real! MascaraMy makeup bag was forever changed when They're Real! came into my life. The brush seemed to be custom made based on my favorite things about all the brush applicators I had tried in the past. It grabs and coats every last lash to lengthen and volumize like you wouldn't believe. The formula does seem to smudge a bit, but not enough to discredit the way they enhance my lashes. How about you? 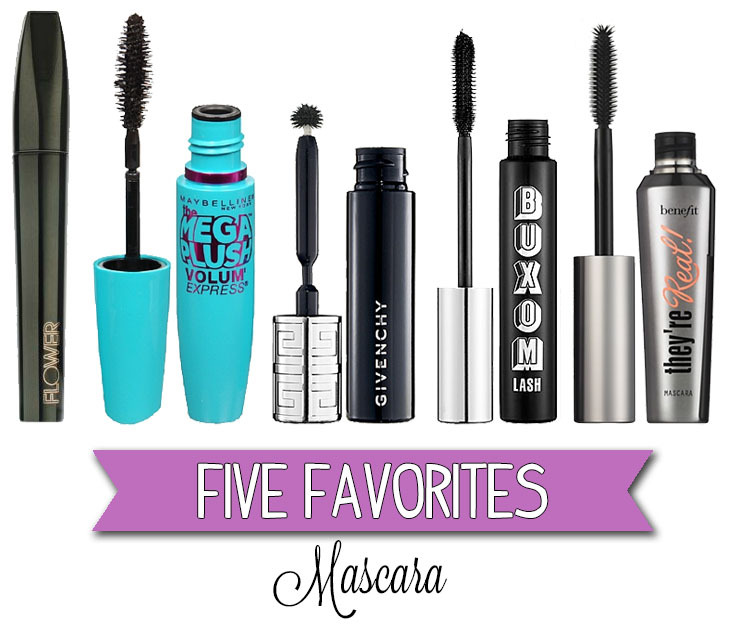 What is your go-to mascara? I like having "full" lashes but am really turned off by that stiff feeling. Seems like that second one would be great to try! Sounds like you and I look for totally different things in mascara--interesting! These are good suggestions, thanks for sharing! i wish to thank you for providing informational blog posts. Looking forward to hear more from you.